Today I want to share with you a bit from Ann Voskamp’s “One Thousand Gifts” book. “To receive God’s gifts, to live exalted and joy filled, isn’t a function of straining higher, harder, doing more, carrying long the burdens of the super-Pharisees or ultra-saints. 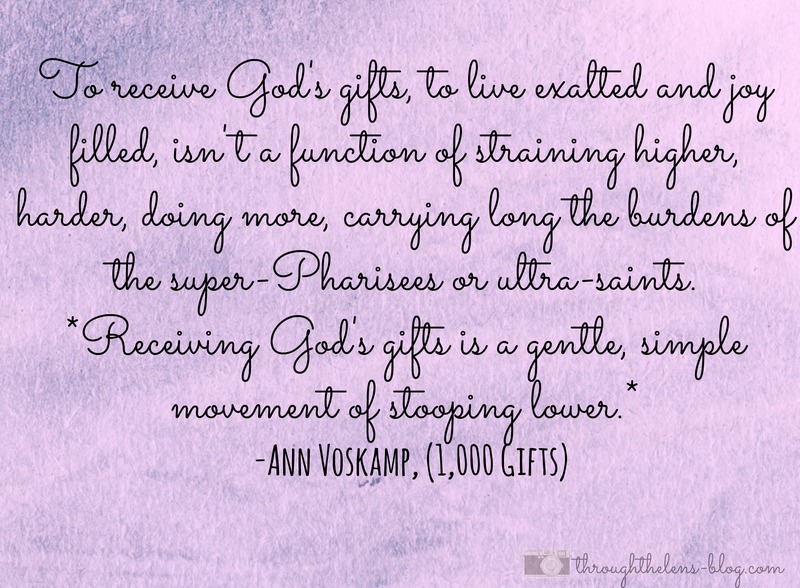 Receiving God’s gifts is a gentle, simple movement of stooping lower. Is this, too, why I’m often joy starved? Why a narcissistic, gluttonous world lived emaciated? The quiet song of gratitude lures humility out of the shadows because to receive a gift the knees must bend humble and the hand must lie vulnerable open and the will must bow to accept whatever the Giver chooses to give. 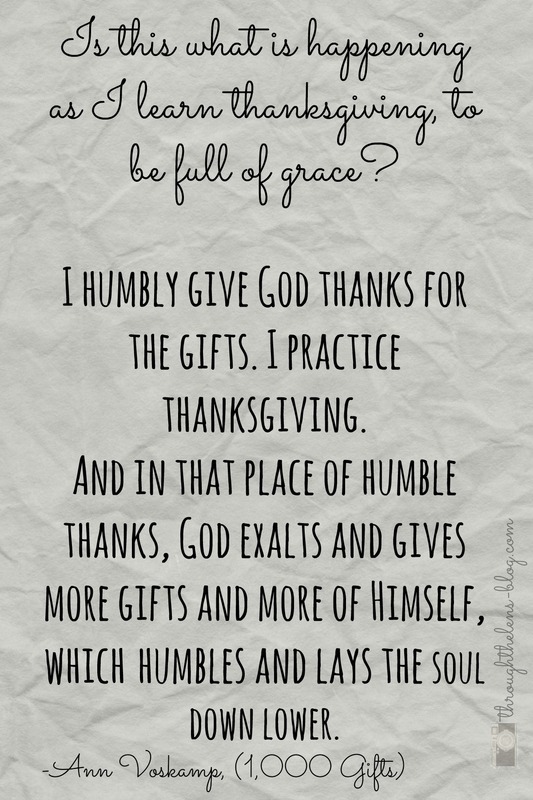 Is this what is happening as I learn thanksgiving, to be full of grace? I humbly give God thanks for the gifts. I practice thanksgiving. And in that place of humble thanks, God exalts and gives more gifts and more of Himself, which humbles and lays the soul down lower. While I may not always feel joy, God asks me to give thanks in all things, because He knows that the feeling of joy begins in the action of thanksgiving. It’s funny that at first glance you don’t really think of those two attributes as connected–humility and joy–but truly, they are! Wonderful post. It is so odd that in a world so full of excess that we can feel so empty! 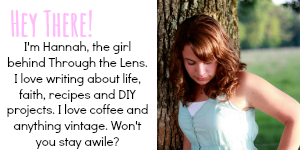 Your writing is always appreciated and love how you connect humility & joy! In such a fast paced world we live in, your blog brings joy & connection to people. God bless you!